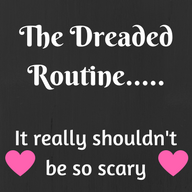 Corissa Feenstra > Uncategorized > Are Routines Necessary? I would like to talk about routines.. Yes I know many parents shudder at the thought of having your child’s day planned out. In reality it doesn’t have to be planned to a tee, just certain parts of it should be. You might be a parent of a child that is very easy going and doesn’t need much routine and will sail through the day, on the other side there are children that really need it to be happy and cooperative. Now I am not saying to plan every minute of your day but having set naps and a bed time is a great way to start your child’s sleep habits off on the right foot. Having a short 10- minute nap routine sets your child’s clock and ques them for their nap, this could be a story and a song, nothing intense. Bedtime routines should be anywhere between 20-30 minutes and very calming. Rushing through your child’s routine can cause stress to the parents and child making bedtime unpleasant. Having a bath, light massage, story and song can be a very enjoyable and bonding time for you and your child. Bed time should be around the same time every night, and be the same routine every night! Bouncing back and forth can cause night wakings and early morning wake ups from disturbing their internal clock. Children thrive on predictability and routines, they will have a clear understanding on what will happen next making it easier to wind down and go to bed. This applies for babies and school aged children. Although you may find it “boring” everyday to do the same routine over and over, the outcome of it is a lot more pleasant than a anxious, unpredictable child. Here is to happy well rested children:) Lets make bedtime a dream together. Click here to view Child Consultation Packages.